Are you an actor with money mindset worries? - B.A.B.E. 2017 Acting B.A.B.E. & Love Pictures. Are you an actor with money mindset worries? This is something really different…let’s talk moolah. This is really different to my usual chat, but still very much about mindset. But this time it’s about money and our mindset around that. I often think that when people think of creatives, especially actors or musicians, they automatically think of desolate hobos walking the streets, busking in second hand clothes, and eating just cheese pasta day in day out (I could actually kinda handle the last bit but let’s stay on track). And I think because people see us like that, and especially if we haven’t yet ‘made it to being an A-lister’, we actually start to think that’s how we are too. That mindset others have of us actually translates into us actors thinking it has to be that way. But what if I said to you that a HUGE part of your income as an actor is dependent on this very mindset, and that you could change it. That if you wanted to, you could flick a switch and turn it around. That you could create your own money freedom and still act. Crazy thought right? Wrong. I talk about goals and plans and gratitude and meditation all the time. And mindset is a key part of this. It’s really a combination of these elements. Mindset is what it’s all about. A long time ago I lived a very different life. I was in corporate land, I had a great income, a great job, and a cool fancy car. And then I left because I decided I wanted to be an actor full time. When I did that, I stopped earning the income I had been in my early 20’s. And I got really frustrated because suddenly I felt poor again, like I had in my university days. But eventually, as all bad things have to come to an end, I acknowledged where I was at and I came to the realisation that I wanted this to be different for myself. I didn’t want to be, or live, the ‘struggling poor actor’ stereotype. And so I embarked on fixing up my own mindset around money because I was sick of being poor. I wanted to be an actor who didn’t have to live hand to mouth, month after month. And one of the first things I did was get involved in Denise’s free manifesting course. I’ve even shared the link to this before in emails, and also with clients who I mentor. It was tremendous. I promise you Denise is a game changer. The last time I did her free course, while on it, I decided I said I wanted to manifest a big amount of money (I shared this on my email to my subscribers) and I did it within 4 months. I AM SERIOUS! I did her manifesting course, and I changed mindset, and then my personal income shifted just like that. Maybe some would call it luck that I just happened to have things come in at that time. For me, I feel like it was all about the shift in the way I was thinking. And she is now back with another FREE thing, only this time it is specifically about money mindset. FREE – YOU DON’T PAY A DIME (click me). 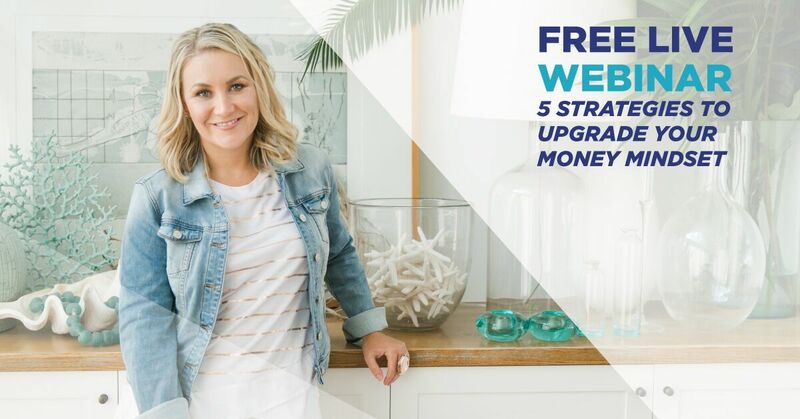 You will discover the 5 strategies entrepreneurs use – and that you can use too – to upgrade their money mindset . These are strategies to help you change the way you see money, and how you relate to it. The free Webinar is on Tuesday, the 17th April! If you are an actor, musician, voiceover artist, presenter, or even corporate lady, who wants to own your money mindset, then click here and jump on this free webinar – I’ll be listening too. Don’t believe me that you can change your own circumstances? Have a listen to Denise, and see if you can’t do it for yourself. She is an award-winning speaker, bestselling author, and money mentor to tens of thousands of online entrepreneurs. And her popular Money Bootcamp has helped over 4,000 women clear their money blocks, transform their money mindsets, and collectively earn millions more in income, all while having a lot more joy and ease in their lives. So I hope you enjoy listening, and I hope you enjoy the same magic in your new money mindset. The webinar takes place this Tuesday, April 17 at 6PM Eastern – and I REALLY want you to be there. Simply click the link below to join the FREE WEBINAR on Tuesday.